What was an ex dairy farm…St.Andrew’s offers pristine views and always captures a breeze, with a slight undulation of contours and being cleared land, it is the best value acreage estate located in Queensland’s sunny south east corner. 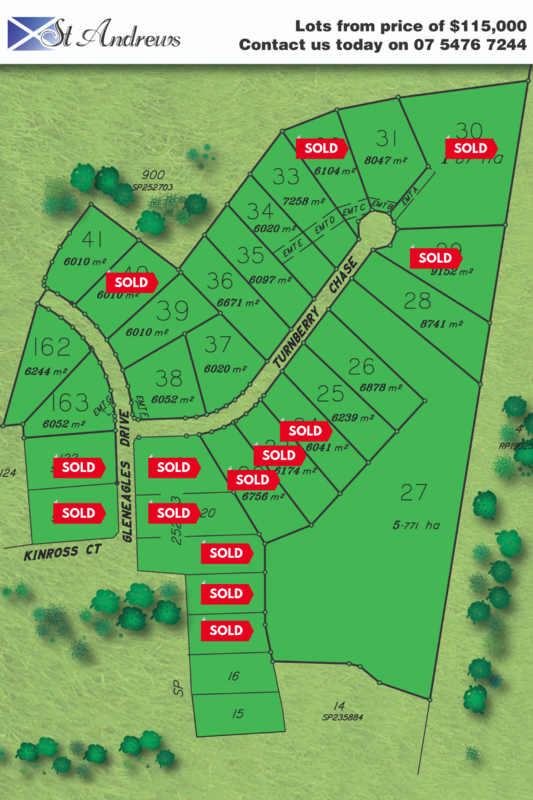 Lot sizes average from 6000sqm² (1.5 acres) – which is equivalent to the grass field size of Suncorp stadium! Lot prices start from only $115,000 including phone and internet services, power and high-quality sealed roads. Why not include solar energy into the mix when building and save on power bills (with a view to stop them entirely) as some locals living there have already done. Last but definitely not least, there is a building covenant in place to protect the values of the region. See the current St. Andrews Listings here. Stage 3 is selling now! Contact us via the form below.